Stephen Timms to be Chief Secretary to the Treasury. Ed Balls to join Treasury team in junior ministerial role. Hilary Armstrong to have responsibility for social exclusion in Cabinet. Radio 4's WATO reporting that Hutton and Hewitt to stay in post. Ruth Kelly takes over ODPM responsibilities. Douglas Alexander (Brownite) goes to transport. David Miliband to replace Beckett at environment. Tessa Jowell and Peter Hain (despite peerage for Peter Law allegation) stay in post. This is an extensive reshuffle with a number of big casualties... Hilary Armstrong, Charles Clarke, Ian McCartney. Has Blair created new, heavyweight critics on the backbenches? No news yet on young guns Ed Balls, David Miliband and Douglas Alexander, or troubled ministers Patricia Hewitt or Ruth Kelly. Adam Boulton on Sky is questioning whether Hoon will be in Cabinet. John Reid (Blairite) is new Home Secretary. Charles Clarke (Blairite) unhappy with PM's decision. PM offered Clarke an alternative job in Cabinet but he has chosen to return to backbenches. Margaret Beckett has replaced Jack Straw as Foreign Secretary. Jack Straw demoted to Leader of the House. Geoff Hoon is new Cabinet Minister for Europe. John Prescott stays as Deputy PM and in charge of key Cabinet committees but loses Office of Deputy Prime Minister. 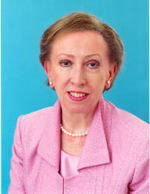 Margaret Beckett as foreign secretary is extremely surprising. She's no threat to Blair, thus perfect for the role. What job did Clarke turn down? Could be Foreign Office? - Beckett looks a bit weak in such an important role. The two biggest problems for the rural area in the South West that I inhabit are Prescott's regional planning agenda and Beckett's screw up of all things agricultural. So huzzah they have both gone. Looks to me like Blair is trying to keep the dwindling band of Blairites in key positions. Interesting to see Nick Assinder on the BBC website talking about calls for Blair to go from within his own party. I find some of these choices bizarre to say the least. These moves seem to be good for us if not the country.Blair looks to be shoring up his position rather than thinking about the interests of the Labour party as a whole.What a suprise! Having Beckett as Foreign Sec after the mess she's made at DEFRA is a national embarassment! What happened to Ruth Kelly? I'm intrigued as to how the Deputy Prime Minister can lose the Office of the Deputy Prime Minister. Is somebody else getting the job or is the department being shut down? Bizarre is just what it is - will this enthuse the Labour Party activists? will it demonstrate competency & effective government? It's not yet clear, Mark. It once again just shows how crap Blair is at reshuffles. Beckett? Come on! Hardly Foreign Secretary material. John Prescott loses his portfolio. Is that a euphemism for something? First, congratulations with good results in the local election, hope you are on your way back to No 10, where you belong! Keep up the good work, the Tories has always used to be a inspiration for all right-wing and conservative parties (I hate the term centre-right as that also implies christian-democrats, despicable). "My God, they are short on talent!" Just what Blair needs another half a dozen disgruntled ex ministers sitting on the backbenches. It starting to look like M Thatchers backbenches, more ex ministers than never ministers. Getting rid of McCartney is a mistake he was in touch with the grassroots ... Hazel Blears is not. And Beckett just took me by surprise. The Beckett choice has very strong embarrassment potential. Aside from the Farm Payments business, and all the WEEE milarky,and looming chaos over disposal of millions of post-digital-world TV sets, there's the minor issue of the quote bank from her on the EEC in 1972 and the 1975 Referendum. I've always held that Reid is a potential threat to Brown, if he wanted the top job for a single term. Could this be a trigger moment? The Cabinet position of the Europe minister has long been argued for, but will create friction for Hoon with everyone else. I guess it'll prove to be the career equivalent of sending someone to Northern Ireland. Someone for colleagues to offload blame onto. Ruth Kelly to take over Prescott's role. What are you doing up so early Rob? I think we now have conclusive proof that Blair doesn't watch question time. If he did he nmight have noticed her being doubled teamed by William Hague and Richard Littlejohn. Maybe he thinks that her and Hague are dating or something? Jack Straw is a real suprise, and I can't believe he'd been happy to be demoted. Apparently he left downing street with a smile on his face, so maybe he's been tipped off about his future position in a Brown government? I always though Straw was the logical choice to suceed Brown as Chancellor? Iain Dale is saying that Clarke was offered foreign secretary? If this is true we could get some real ammunition out of it, I mean what do you do when someone buggers up in their department? Promote them so they can do it elsewhere! Junior Ministerial Positions are the last to be announced always and Ed Balls isn't even yet a member of the government, he'll probably pop up at the lowest rung in The Treasury or maybe a dti Under-Secretary. David Milliband is a non-entity, who cares where he ends up. I'm sure Patricia Hewitt will continue to have a prominent role and is probably the most likely person to succeed John Prescott as Deputy Leader - the problems with the NHS are down to Government policy on the NHS over the past 9 years and the unrealistic premise that it was setup under in the first place, the government as a whole is to blame. The Clarke > foreign sec story sounds like spin, to excuse such a bloodletting. There's no way he could be seen to be promoted after the last few weeks. The appointment of Margaret Beckett is genuinely gobsmacking. What a joke - can you imagine her strutting the world stage alongside a politician of the stature of Condi Rice? Still at least she'll have a vaguely acceptable excuse for racking up the air miles at Johnny Taxpayer's expense. "What are you doing up so early Rob?" I have an essay in for 4pm, so I had to get up early (11am) to get started on it. Really am struggling though after staying up late to watch the results. And I keep getting distracted by CH. Good to see I have built a reputation for being a lazy bum. What is so confusing to me about Beckett is her dismal performance on Question time last night, watching it, she looked like a broken woman, struggling to answer anything, it just felt like the tide had totally turned against Labour when watching it. I'm actually getting angrier about the Beckett appointment by the second. Is Tony Blair deliberately trying to turn our country into an international laughing stock? I was no fan of Jack Straw but if he really had to go, Hilary Benn would have been perfect for the role. This has to go down as the worst Blair reshuffle by far, and that's a pretty competitive field! all i can do is laugh. why is blair getting rid of his heavyweights. this is certainly a PM with a problem. what was wrong with jack straw in foreign office? and why is prescott still deputy PM. well, aqt elast he's lost his power. the shadow cabinet are gonna have a field day with this new lot. bye bye labour. I rather think it would make sense to merge the Defence and Foreign Office Portfolio's as really Defence primarily relates to relations with other countries and the first priority of Foreign Policy should be maintenance of security vis-a-vis other countries. It is pathetic that the position of Minister for Europe has been raised from a Minister of State position to a cabinet position. Anyone notice Beckett demonstrating her powers of international diplomacy on Question Time last night? At one point, I'm sure she layed into Bush and said something along the lines of how everyone was much better off under Clinton? Not a good start continuing the UK is in Alliance with the White House (a Republican White House) in a number of international matters and would hope to have good relations with the next White House Administration and Congress who are also likely to be Republican dominated. Perhaps Blair is going to looking to quitely shift his position of foreign policy. Out of Iraq by the end of the year is definately a realistic view, given our new Foreign secretary. We need to watch splitting up of ODPM. There was a single target (John Prescott)for opposition to regional assemblies, planning policy, regional spatial plans, lack of local democracy in planning system, (un)sustainable communities and growth area policies. If this gets divided up these themes may be lost but at grass roots, in shires, they are weaknesses we need to exploit to win votes. In Hertfordshire the papers had renamed us "Prescottshire" because of his house building plans. It was great rallying cry. Any suggestions for a new name? Yes - the EU doesn't really have much influence on us. It's hardly even worth a ministerial post at all. "In Hertfordshire the papers had renamed us "Prescottshire" because of his house building plans. It was great rallying cry. Any suggestions for a new name?" It won't be when we leave True Blue! How can they justify Prescott keeping his salary and grace and favour home "in recognition of his heavy workload". Talk about a gravy train. Yes - there's no point in employing a minister to rubber stamp laws over which we will have no influence. You are so wicked. Just you wait. Indeed. I thought Miss Temple looked rather light too! guess what Des Browne was doing before he was at the Treasury? SHAME MARGARET HODGE KEPT HER JOB. SHE DIDN'T DESERVE TO. Why appoint a member of Opus Dei as minister responsible for gay rights? well spotted with that Ruth Kelly - gay rights link. it does make you wonder though - why is an Opus Dei member even in the Labour Party? Opus Dei are one of the most conservative wings of the Catholic church - I know - i'm Irish. And the term "opus dei" gives me the shivers. It's a pity that the English media havent woken up to this. It just shows the utter fakery of the New Labour project. Ruth Kelly should be a natural ally of the Anne Widdecombe wing of the Tory party. I have no problem with that wing - we are a democracy - but i'm trying to point out that isnt it utterly ridiculous that a supposedly "left wing" Labour party, has a Opus Dei minister. It's no wonder the Labour supporting working class of Barking voted BNP. Cameron really needs to tap into these contradictions within Labour. rolling on from the Opus Dei stuff - we have our Prime Minister wearing a Hindu "good luck" bracelet at PMQ. can anyone even imagine Thatcher, who was a trained chemist, doing that? There's a thread here that Cameron could tap into - the dumbing down, the pandering to religion - and the public's longing for a return to the engineering and science greatness that was Britain in the past. I am certain that there are lots of people in Britian who are un-nerved about this increasing encroachment of religion into our political system. Cameron needs to pick up on that - i call that demographic the "top gear" crowd. The folks that want their kids to do science, to be logical, to do well at finance. He's started that with his green agenda - whether you agree with it or not, its got a basis in a particular scientific opinion. If he runs with it, he could roll that idea into his vision of education under a Cameron government. Its there for the taking. And it's staring us in the face. I think he was given it and the belief is that he cant remove it. Hes supposed to let it disintegrate by itself. He has an excuse to wear it. There was a big photo of it in the papers earlier this week. As for the influence of religion, I hear so much about the loss of morality in todays society, is it such a bad thing that religion inform societies behaviour? Radio 5 Live were announcing him as having got the post of Financial Secretary to the Treasury, Economic Secretary to the Treasury is more what I would have expected as it is usually a more junior post although still at Minister of State level. And of course the person announcing it on Radio 5 Live was announcing it wrong, Ed Balls is the new Economic Secretary to the Treasury not Financial Secretary.